Delia is a Bikram, vinyasa and yoga sculpt enthusiast. In 2014, Delia trained under the owners of Evolation Yoga in Victoria, British Columbia and completed her 250hr Bikram yoga teacher training. The following year, in 2015, she received her 200hr RYA High Peaks Hot Vinyasa certification in Saratoga Springs, New York. 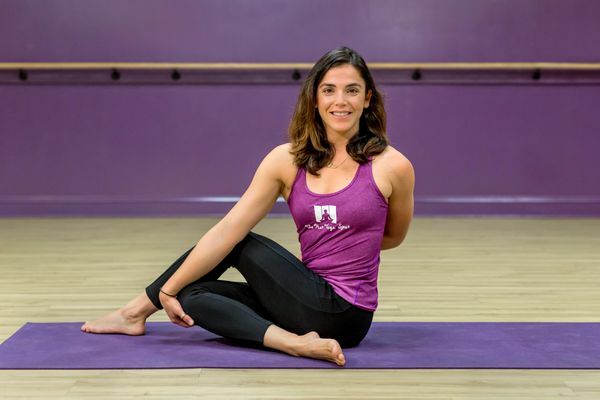 In 2016, Delia completed her Nupower Yoga training in Queensbury, New York where she received her Sculpt certification. In addition to all of her yoga certifications, Delia holds a Masters degree in Education from SUNY Plattsburgh. When Delia is not instructing at the studio or in an educational setting, she is out enjoying the Adirondacks or spending time with her family and friends.